Very nice. Is that a '53 ? 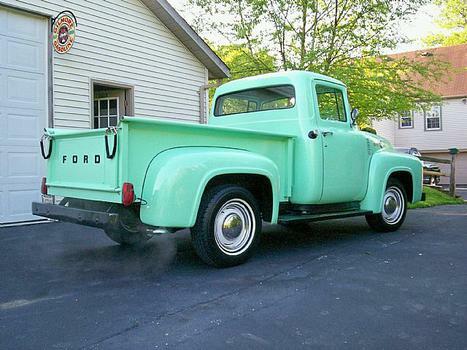 This color puts me in the mood for sherbert.......I love sherbert........this looks like the Ford pickup the old lady drove in the Alfred Hitchcok thriller movie The Birds........from her farm to the other farm.